Woodstock, VT: Jewish Lights Publishing, 2009. xxv+439 pages. This splendid anthology documents the progress made in Jewish feminist endeavors and charts several courses for future consideration. Following Anita Diamant’s “Foreword” and an introduction by Elyse Goldstein, the thirty-seven chapters are organized into seven sections. Judith Plaskow, whose 1990 Standing Again at Sinai remains a classic in Jewish feminist theology, opens Part I, “Women and Theology,” with “Calling all Theologians.” Plaskow remarks that the blossoming of Jewish feminist theology has yet to occur (then again, twenty-first century Jewish theology in general substantially remains still in the bud phase). By extending the term “theological” to encompass the “meta-questions” (p. 8) arising from praxis, gender models, the locus of authority, and the relation of Jewish feminist endeavors to the project of Tikkun Olam (“repairing the world”), she firmly yokes the theological endeavor to community life. 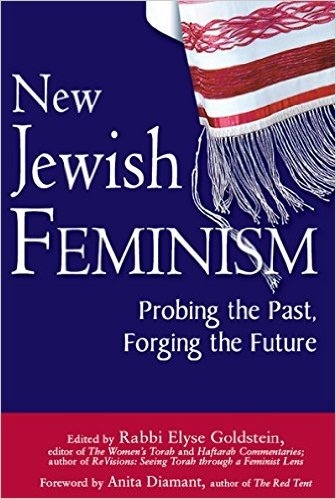 Donna Berman’s “Major Trends in Jewish Feminist Theology” expands upon Plaskow’s theology as well as the writings of Rachel Alder and Rebecca Alpert. In “To Her We Shall Return,” Jill Hammer appeals to goddess references in the Bible and the Ancient Near Eastern archaeological record, the tradition of the Shekinah, “spiritual experiences” (p. 24) reported by Jewish women, the import of panentheism and transmonotheism, and descriptions of the divine feminine which resist stereotyping gender roles to locate Goddess traditions within Jewish theological thought and practice. The article would be stronger were its data correct (“William” Dever, not “Daniel”) and its suggestions supported (e.g., that the sprinkling of blood in the Holy of Holies, “can be read as…the Goddess cleansing her womb” [p. 30]). Karyn D. Kedar’s “Metaphors of God” recovers biblical images of the divine “Birthing Mother,” El Shaddai as “God of Nourishment” (p. 37), the Tetragrammaton (the four Hebrew letters that represent the ineffable name of G-d) as feminine “Being-ness” (p. 39), and the value of the mixed metaphor, such as the addresses to G-d, “Father of Compassion” (the Hebrew for “compassion” also means “womb”). In “Creation Theology: Theology for the Rest of Us,” Ellen Bernstein uses categories including goodness, beauty, fruitfulness and sustainability, interdependence, language, boundaries, wholeness, and service to reflect on the nature of creation. Her claim that her approach responds to the challenge of “fundamentalist Christians” (p. 53) who have co-opted Creation language ignores the ecofeminist work of Christian theologians such as Sallie McFague. Part V, “Gender, Sexuality, and Age,” moves well beyond the male/female dichotomy and debates over essentialism. Marla Brettschneider’s “Jewish Feminism, Sexuality, and the Sexual Justice Agenda” addresses Jewish women’s roles in reproductive rights issues. In “If the Shoe Doesn’t Fit, Examine the Soul: Jewish Feminism and Gender Expression,” Jane Rachel Litman, who traces the politics of the gay and lesbian rights movement to bisexual, transgender, transsexual, intersex, and queer interests, finds that “Jewish feminists of the twenty-first century are less reactive and more introspective, searching for a Jewish theology of revisioned gender expression and gender roles that focuses on authenticity rather than simplistic categories” (p. 257). Beth Cooper Benjamin and Jodie Gordon discuss “Koach Banot (Girl Power): Talking Feminism with Jewish Teen Girls”; Rahel Lerner offers a personal “Portrait of the Writer as a Young Feminist”; Ruth Andrew Ellenson’s “The Pink Ghetto” echoes Meszler’s concerns (in Part III) by revealing how the Jewish professional world is increasingly perceived as women’s territory. “Women and the Denominations,” Part VI, offers Idana Goldberg’s “Orthodoxy and Feminism”; Rachel Sabath Beit-Halachmi’s ‘Changing Status of Women in Liberal Judaism”; Gail Labovitz’s “Feminism and Jewish Law in Conservative Judaism”; and Barbara Penzner’s “Women and the Reconstructionist Movement.” Haviva Ner-David, in “Feminism and Halakhah: The Jew Who (Still) Isn’t There,” defines herself as a “post-denominational rabbi” (p. 313) who no longer believes “in the importance of working ‘within the system’” (p. 322). In Part VII, “Leadership and Social Justice,” Shifra Bronznick’s “Jewish Women’s Leadership for the Twenty-first Century,” offers a call to action. Jill Jacobs’s “Bread, Roses, and Chutzpah: Jewish Women in American Social Movements” gracefully moves from Rose Schneiderman, an early twentieth century labor organizer, to the Freedom Rider Betty Alschuler to Betty Friedan to her own story, in asking “what is Jewish and Feminist about Jewish Women’s Activism?” (p. 366). Lynn Gottlieb advocates for “Women’s Right to a World Free of Violence” – including within one’s own religious community; Valerie Joseph and Alana Sukin comment upon Jewish spiritual care providers and healing rituals from antiquity to the present in “Servants before the King: Raising Up the Healer to Leadership.” Finally, Rosie Rosenzweig’s “Post-Triumphalism and the New Haskalah” [Enlightenment] puts Jewish and secular feminisms in dialogue and, in a call missing through most of the volume, advocates a “sisterhood in all things spiritual” (p. 402) which looks beyond Judaism’s repository to other spiritual resources. The volume concludes with a helpful glossary and brief bibliography. Throughout as well are well-argued claims, creative suggestions, and thoughtful reflections. Missing or underrepresented are contributors representing secular Jewish perspectives, historians, activists for peace in the Middle East, and feminists engaged in interfaith conversations; a second volume would be welcome. We can all learn from each other’s missteps, successes, and strategic plans. That this journal has invited a review of New Jewish Feminism is a solid step in the right direction; readers of Christian Feminism Today would, in turn, learn much from these reflections by their Jewish colleagues. Amy-Jill Levine is E. Rhodes and Leona B. Carpenter Professor of New Testament Studies at Vanderbilt University Divinity School (Nashville, Tennessee), Graduate Department of Religion, and Program in Jewish Studies. Readers of Christian Feminism Today will remember David Scholer’s review of Dr. Levine’s book, The Misunderstood Jew: The Church and the Scandal of the Jewish Jesus in our Spring, 2007 issue. It is accessible in the book review archives on our website, eewc.com.